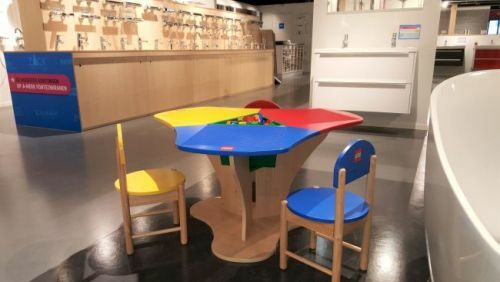 When it comes to fitting out a shop or equipping a showroom, creating a kids’ corner is extremely important. As a retail expert, you will know that children do not generally share their parents’ interests. This means that there is a danger of customers or potential customers who have children with them leaving your retail outlet more quickly than they otherwise would. The toys and furniture we supply for equipping a shop or fitting out a showroom are manufactured by leading brands and are guaranteed safe. This means that you can concentrate on more important matters. As all of our products are extremely durable and require little or no maintenance, you can be sure that your investment will pay for itself for many years to come. All of the children’s store equipment and playground items in our range have been specially developed for use in public spaces and complies with the most stringent standards for toy and play equipment safety. 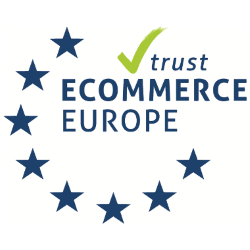 This means that you can easily and safely buy all individual items through our website with confidence. We have many examples of the best and most professional way to approach equipping a shop or fitting out other retail outlets. Whether the retail space is a fashion store, hairdressing salon, car showroom or toy shop makes no difference. In a car showroom, it doesn’t take much for a car to get scratched. That is why having a dedicated kids’ corner in which little ones can amuse themselves for a lengthy period of time makes good sense. You can then take your time to speak to the parents and provide them with good advice on any possible purchase. Buy today means shipment will take place also today! f you are active in the retail sector, it is always a good idea to take note of whether children regularly accompany parents who visit your retail outlet. If children are present at least once a day, investing in a kids’ corner will certainly be worthwhile. You can always start small and upgrade to a fully equipped playground that will keep kids entertained for hours once you discover how successful the investment has been. Whether you have a pop-up store, a factory outlet or a more traditional shop is immaterial. Need more advice? Just contact us! Fitting out your store or equipping your outlet or showroom need not be at all difficult. Even when space is at a premium, a small area can always be found for a table and two chairs. And if you really cannot find the space for that, you can always attach a puzzle or other play equipment to the wall. View our collection to find solutions for a whole range of requirements in all price ranges. Please do not hesitate to contact us if you require more advice.